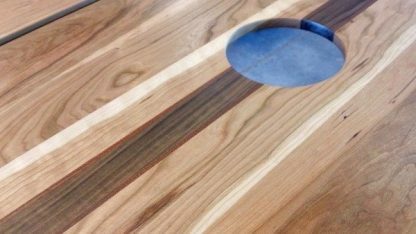 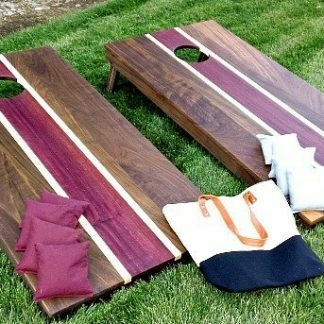 The rich colors of Cherry are simply accented in this set by a Mahogany bordered center stripe of Walnut to guide your tosses directly into the hole. 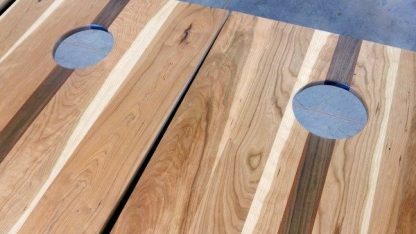 The frame and legs are made of solid Cherry and the entire set is finished with three hand-rubbed coats of our blend of linseed oil and polyurethane. 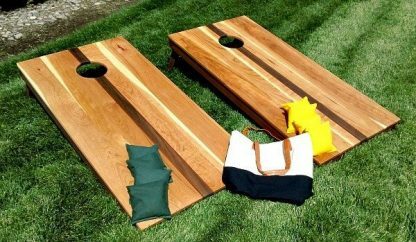 Includes a handy canvas tote bag with two sets of corn filled, regulation game bags. 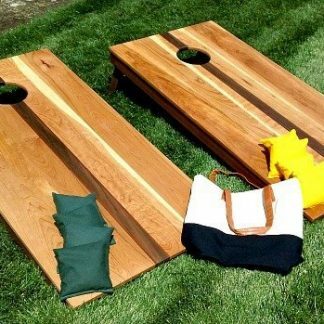 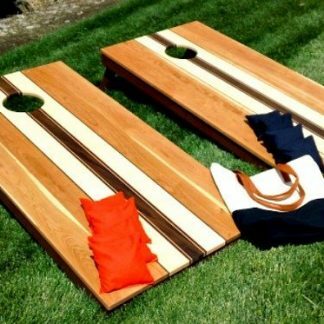 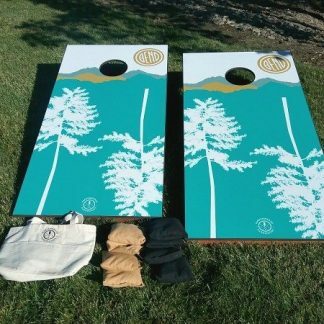 We make batches of Corn Hole Sets as orders come in and gladly do custom designs. 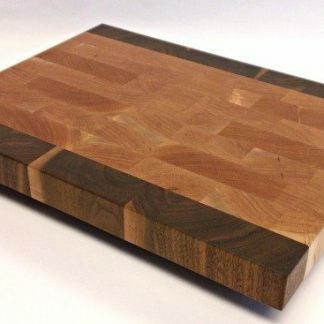 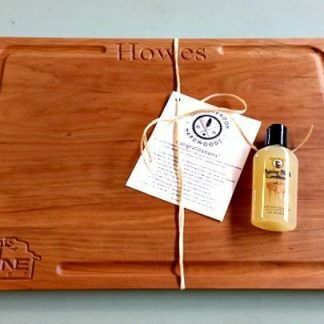 Call (541) 526-1664 or email us with your request and we’ll let you know when the next batch of boards is scheduled to be made.